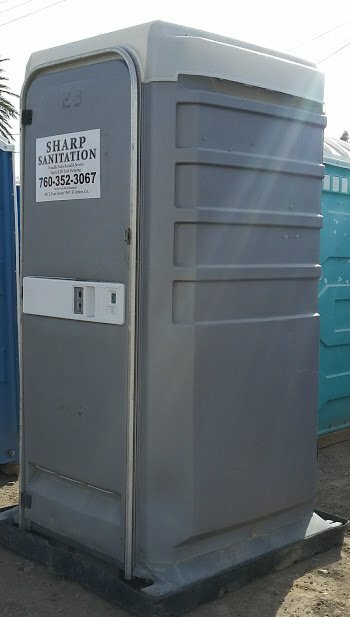 Since 1964, Sharps Sanitation has provided portable toilet rentals for any occasion throughout El Centro, CA and the surrounding areas. 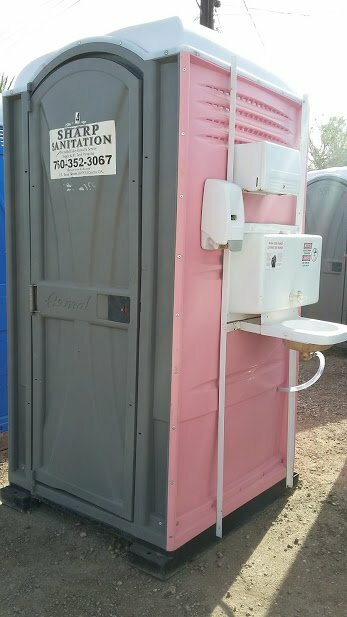 Call us for portable toilets and handwashing stations for your community event, wedding, worksite, festival or any other event. We have ADA-compliant rentals and always put sanitary practices first, regardless of how long you’re renting for! Contact us today for a free estimate. When hosting a party or putting together a special event, planning for your guests’ comfort and convenience is important. The easiest way to do this is by consulting with Sharps Sanitation about portable toilet rentals in El Centro, CA. Whether you’re planning a wedding for 150 people or 5-day community festival thousands will attend, we’ll make sure there are enough portable toilets and handwashing stations for everyone to feel comfortable and stay sanitary. Our porta potty rentals in El Centro, CA are completely flexible. We can consult with you about exactly how many units you need and where they should be placed, putting together a quote that includes everything you need to know for budgeting and logistics. We also offer long-term rentals for worksites (including maintenance). Need ADA-compliant toilet rentals and handwashing stations? We can provide those too! Outside of our portable toilet rentals we provide general septic services in El Centro, CA. Specifically, we offer on-site and mobile pumping for residential, commercial and RV customers. Call us to have your home or business’ tank pumped on schedule or drive to our facilities in your RV for a quick pump before you hit the road. Whatever service we’re providing, rest assured it’ll exceed your highest expectations! With more than 55 years of service, we understand the level of service and professionalism our customers expect. Let us cater to your sanitation needs! Customers know us as the company with the nicest-smelling portable toilets! That’s because we use proper chemical cleaning practices to ensure cleanliness at all times. We’re an ADA-compliant company, offering handicap accessible toilets and handwashing stations to customers who require them. We’re a family-owned and -operated company that knows the value of honesty and integrity. Expect nothing short of superior customer service when you work with us. To maintain the integrity of our portable toilet rentals, we offer 24-hour emergency response services when needed. One call and we’re on our way! Whether you’re hosting a special event or need your RV’s septic system emptied, Sharps Sanitation is just one call away. Contact us today for an estimate on sanitation services. Proudly providing portable toilets across El Centro and neighboring town. We do not deliver across the Mexican border.